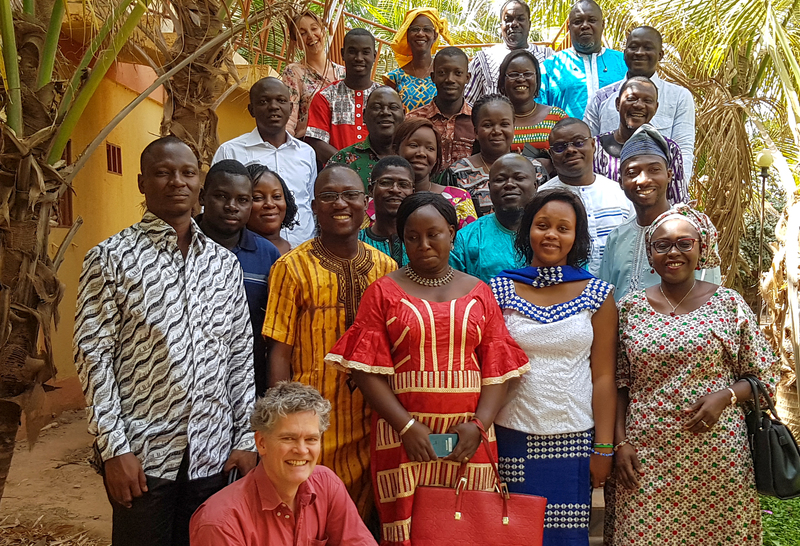 In Burkina Faso, law and order is not guaranteed these days, writes Daniel de la Cour, LaCour, Senior Consultant, Cowi, who facilitated Danida Fellowship Centre’s Training course in Result Based Management 31 January – 8 Februar 2019. Despite three recent terrorist attacks around the country, during a “normal” working week it did not stop the continuous effort towards developing improved competence at ministry, regional and provincial levels as well as amongst Civil Society Organisations, all working with Water Supply and Sanitation. Results Based Management (RBM) and Human Rights Based Approach (HRBA) and Gender were the main themes of an intensive training course taking place at Dima Hotel in Koudougou in Burkina Faso’s Centre-Ouest Region. The training was ordered by the Danish Embassy in Ouagadougou and carried out by COWI. 23 participants occupying central positions at central, regional and provincial levels within the water and sanitation sector were gathered to improve their competencies within planning, implementing, monitoring and evaluating development programmes – focusing on RBM and HRBA. By the end of the course, all participants presented an individual Action Plan for specific actions to be carried out over the coming 3-6 months focussing on results and human rights.